On January 18, the San Francisco Museum of Art, under the leadership of founding director Grace McCann Morley, opens on the fourth floor of the War Memorial Veterans Building on Van Ness Avenue. 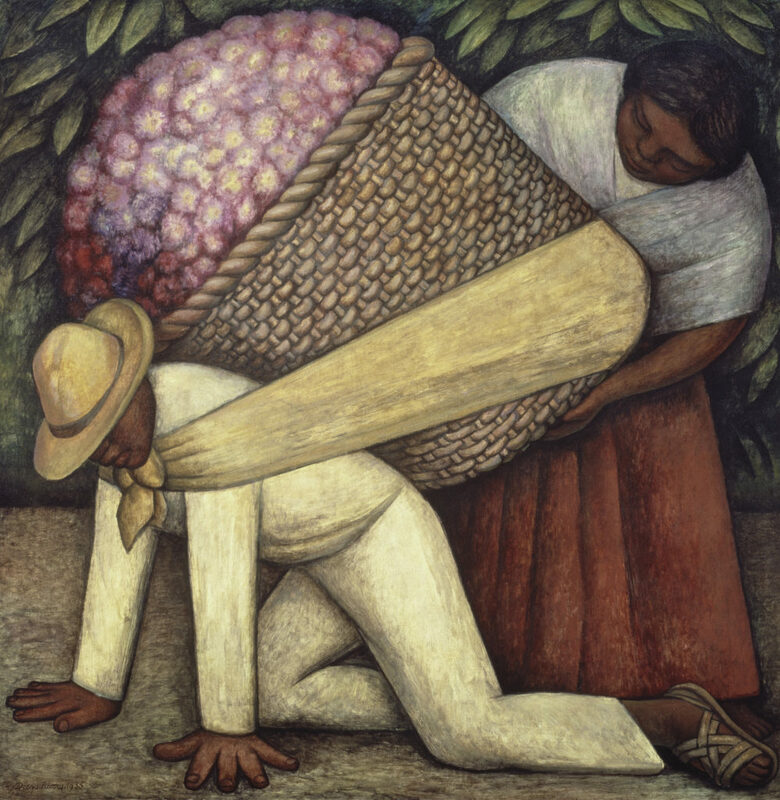 A gift of several hundred artworks from Albert M. Bender, including works by Frida Kahlo and Diego Rivera, establishes the nucleus of the permanent collection. In a remarkable display of generosity, Bender goes on to donate more than 1,100 objects to the museum, including photographs, and endows its first purchase fund before his death in 1941. The museum’s second year begins with an exhibition of works by Henri Matisse — the first on the West Coast — primarily drawn from two local private collections. Many of the featured paintings and sculptures are later donated to the museum, forming the core of an exceptional collection of Fauvism. The museum organizes its first architecture exhibition, Telesis: Space for Living, a landmark effort that prompts the city of San Francisco to establish an office of planning. Fifty member countries convene in the War Memorial Veterans Building to establish the United Nations Charter. With its galleries commandeered for delegates and press, the museum relocates to a temporary facility on Post Street from March through July. The museum presents Jackson Pollock’s first solo museum exhibition. Pollock’s early masterpiece Guardians of the Secret (1943) is added to the collection. The Women’s Board establishes the Rental Gallery (now known as the Artists Gallery). The first program of its kind in the country, it expands the collecting base in the Bay Area and creates a vibrant sales venue for local artists. The San Francisco Museum of Art initiates a biweekly television program entitled Art in Your Life (later renamed Discovery). 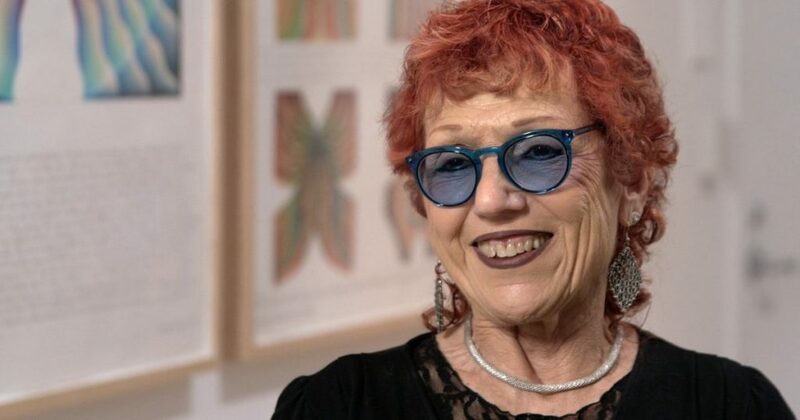 Embracing the new medium, Morley asserts, “We mean to try to make television serve for art and artists, for that seems the business of our kind of museum.” The series of half-hour shows runs for three years. Sixty-eight photographic works spanning the career of Alfred Stieglitz are acquired by purchase and through the gift of Georgia O’Keeffe. The photography collection gains great depth with the addition of the Henry Swift Collection, a group of eighty-five prints assembled by one of the original members of f/64, the group of seven San Francisco photographers. His collection includes work by fellow f/64 photographers Ansel Adams, Imogen Cunningham, and Edward Weston. “Modern” is added to the museum’s name to more accurately reflect its purview. Artist Clyfford Still gives twenty-eight monumental paintings to the museum. During a span of several years, SFMOMA formally divides its curatorial team into the four departments still in place today: Architecture + Design, Media Arts, Painting + Sculpture, and Photography. The Third Street site for the museum’s new facility is announced. The Swiss architect Mario Botta is selected to design the new building. The Elise S. Haas Collection is bequeathed to the museum. It includes Matisse’s seminal work Femme au chapeau (Woman with a Hat) (1905). The Harry W. and Mary Margaret Anderson Collection — comprising seven works related to American Pop art — becomes the first major gift of art in honor of the new building. SFMOMA’s facility at 401 Van Ness Avenue closes to the public on September 5. SFMOMA’s new building on Third Street opens to the public on January 18, the sixtieth anniversary of the museum. SFMOMA becomes one of the earliest museums to launch an institutional website. In an unprecedented year of collecting, SFMOMA acquires fourteen important Robert Rauschenberg works directly from the artist with the help of funds from trustee Phyllis Wattis. Wattis’s support extends to the museum’s purchase of René Magritte’s signature painting Les Valeurs personnelles (Personal Values, 1952). Other acquisitions include works by Piet Mondrian (the museum’s first), Pablo Picasso, Anselm Kiefer, Brice Marden, Andy Warhol, and Louise Bourgeois, among others. The Photography department receives more than one thousand images spanning the full history of the medium from the Prentice and Paul Sack Photographic Trust, as well as eleven rare works by the American Precisionist photographer Charles Sheeler. Continuing its collections-growth strategy, SFMOMA acquires twenty-two Ellsworth Kelly works from the artist’s personal collection. In honor of Phyllis Wattis, Robert Rauschenberg donates his monumental work Hiccups (1978), which consists of ninety-seven linked transfer drawings on sheets of handmade paper. Wattis also enables the museum to acquire key pieces by Eva Hesse and Brice Marden. In December, SFMOMA becomes one of the leading repositories of the work of Sol LeWitt with a major acquisition of nine important wall drawings and structures and twenty-six working drawings, many of which are donated from the artist’s personal collection. The group of acquired works represents all the significant periods of LeWitt’s oeuvre. In late 2001 and early 2002, the museum receives seven major works by Frank Stella from the collection of Harry W. and Mary Margaret Anderson — including the seminal Black Painting Zambezi (1959) — establishing SFMOMA as a major repository of this important postwar artist’s work. The artist responds by gifting a new work from his series The Duel (2001) to SFMOMA in honor of the Andersons. Neal Benezra is appointed director of SFMOMA. The museum unveils the Koret Visitor Education Center, which offers both scheduled programming and drop-in access. The museum announces the promised gift of nearly eight hundred photographs to the Prentice and Paul Sack Photographic Trust at SFMOMA from the Sacks’ private collection. These important pictures augment the couple’s 1998 gift of nearly one thousand works spanning the history of the medium. The museum launches Live Art at SFMOMA, a series of public programs designed to embrace the event-driven, performance-based nature of contemporary art. Frida Kahlo becomes the most highly attended exhibition in the museum’s history. 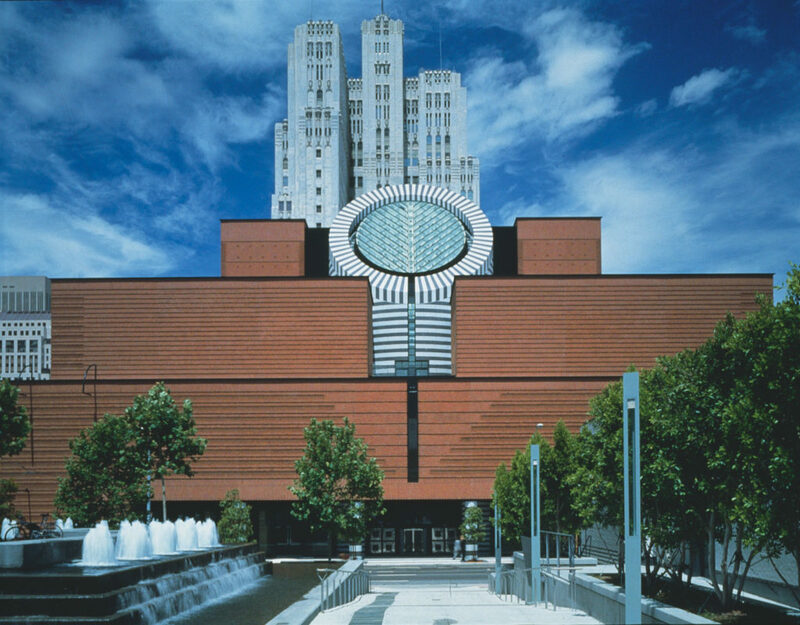 In April, SFMOMA announces plans for a major expansion that will provide additional gallery, public, and support space, including larger and more advanced conservation facilities and an expanded library. In May, SFMOMA unveils a new Rooftop Garden designed by Jensen Architects in collaboration with Conger Moss Guillard Landscape Architecture. The project, which includes a glass pavilion and two open-air spaces, features a rotating selection of indoor and outdoor sculpture from the museum’s permanent collection. In September, Neal Benezra and Charles Schwab, chairman of the board, announce a groundbreaking partnership with Doris and Donald Fisher to provide the Fisher Collection — one of the world’s leading collections of modern and contemporary art — with a home at SFMOMA. The Fisher Collection includes 1,100 works by leading artists including Alexander Calder, Chuck Close, Willem de Kooning, Richard Diebenkorn, Sam Francis, Anselm Kiefer, Ellsworth Kelly, Roy Lichtenstein, Brice Marden, Agnes Martin, Gerhard Richter, Richard Serra, Cy Twombly, and Andy Warhol, among many others. SFMOMA launches a multiyear Campaign for Art with 195 promised gifts from a committee of nine Bay Area collectors. Some of the artists represented include Diane Arbus, Joseph Beuys, Robert Gober, Eva Hesse, Ellsworth Kelly, Bruce Nauman, Jackson Pollock, Ed Ruscha, and David Smith. SFMOMA marks its 75th Anniversary with a year of special exhibitions and programs. SFMOMA announces more than $250 million in support from museum leadership to expand its facilities and double its endowment. In September, SFMOMA selects the architecture firm Snøhetta to design the expansion. SFMOMA unveils expansion designs that reveal innovative and audience-friendly design features, including free street-level galleries and public spaces and dedicated educational spaces throughout the museum. SFMOMA announces new gifts to the ongoing Campaign for Art with more than 470 photographs from three separate collectors, adding significant new depth to the museum’s holdings in twentieth-century American and Japanese photography. In June, SFMOMA begins offering a range of off-site programming and exhibitions in the community called SFMOMA On the Go, as the museum closes for expansion. In February, SFMOMA launches The Artist Initiative — supported by a $1.75 million grant from the Andrew W. Mellon Foundation — which involves deep collaborations with living artists resulting in a more integrated, evolving approach to conservation and collections research. In April, SFMOMA announces the creation of the Pritzker Center for Photography as part of the museum’s expansion. The center will be the largest gallery, research, and interpretive space for photography of any art museum in the United States. 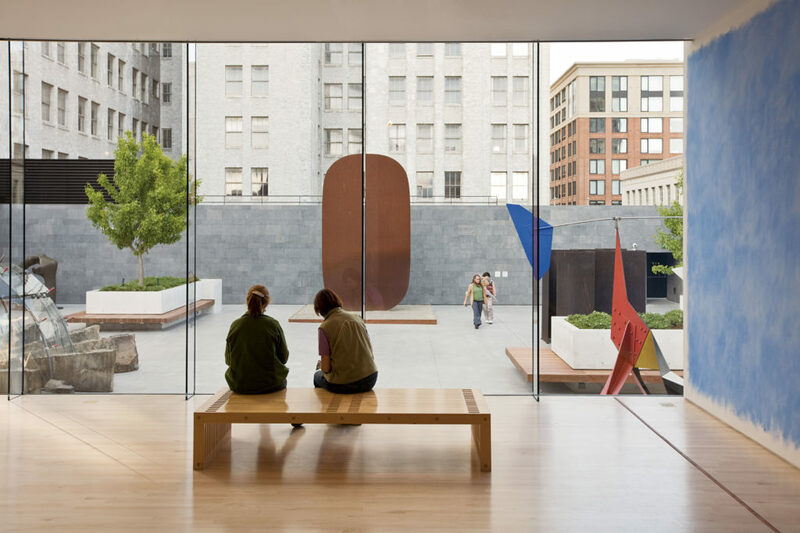 In September, Bloomberg Philanthropies pledges grant support for SFMOMA’s expanded and reinvented digital strategy, including the implementation of new mobile and on-site technologies to help visitors engage and learn when the museum opens in 2016. American Icons: Masterpieces from SFMOMA and the Fisher Collection debuts at the Grand Palais in Paris and travels to the Musée Granet in Aix-en-Provence. This exhibition presents for the first time works from both collections showcased in one exhibition. 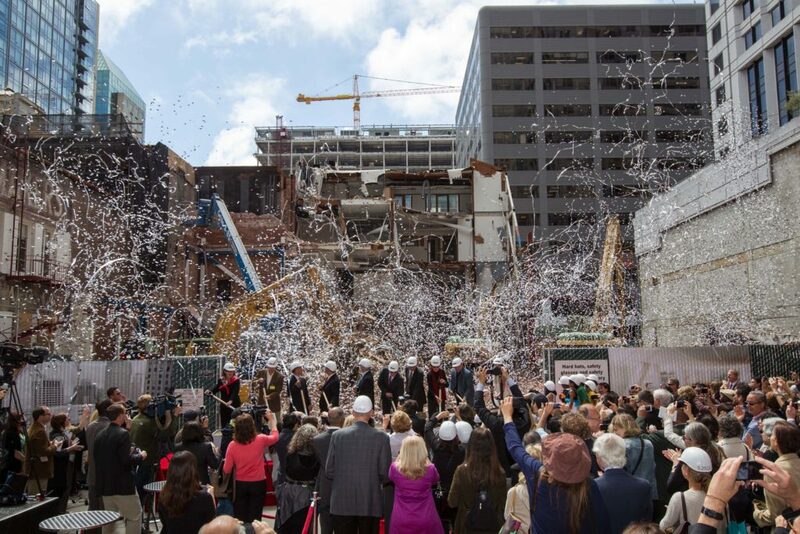 SFMOMA announces that the new museum will open May 14, 2016. The newly expanded museum opens on May 14, 2016, with a special community celebration.